Log in to MustangJOBS to view the list of participating employers for each of the five career fairs listed below. Students should dress in professional attire for career fairs. Over 150 employers will be seeking applicants for career, internship, and co-op positions. Interviews: Some employers will conduct interviews at their table in the Rec Center between 2:30 to 5:30 pm Interviews are by invitation only and participating employers will fill their interview schedules with students they meet during the 9:30 am to 2:30 pm open forum. Attend this career fair for structural engineering, construction management, or other positions that may be of interest to CENG students. TRANSFER STUDENTS ONLY: Students will hear a short presentation on resumes and then get their own resume reviewed. ALL STUDENTS WELCOME: Career counselors will be available to review your resume. Students served on a first come, first served basis. If you would like to have your resume reviewed, we kindly request that you please bring a printout of your resume. Tapas, like disabilities, come in many different forms and can vary greatly. Join us for some snack-size information and interactive discussions on a variety of disability-related topics. Attend in person or via Zoom. Color Coded and WISH invite you to a panel event focused on diversity in computing. Three Google engineers, including two Cal Poly alumna, Halli Santarelli and Bria Sullivan, along with Anthony Mays, who has had his inspiring story about his path from Compton to Google featured on Buzzfeed will be on this panel addressing topics related to diversity and inclusivity in tech. This position is for a Welding Engineer with expert level welding knowledge and experience and skills obtained while working in the Aerospace or Defense Industries. The employee will work within the Metal/Ceramics Engineering Branch of the Materials Engineering Division at Fleet Readiness Center Southwest and provide welding engineering support to the F/A-18, E-2, C-2, LM2500 and other Navy Programs. Applicants are encouraged to send their resumes to Jose Baeza at jose.baeza@navy.mil, and apply to the position here. Students are also encouraged to stop by NAVAIR’s booth at the career fair. An ISA provides tutoring, grading, or instructions to other Cal Poly students for 50% or more of their work hours in a given appointment over the course of an academic term. Incumbents will provide student support in labs, grading, test proctoring, and overall classroom support for MATE lectures and labs. The minimum qualifications for an ISA are: 1) admission or registration as a Cal Poly student, and 2) meeting the requested criteria for the class for which you are providing support. Exceptions to the minimum eligibility qualifications may be granted at the sole discretion of the University. Supervisory directions will come directly from the professor of each class. WORK HOURS: 2-20 hours per week. The Marine Physical Laboratory (MPL), at UC San Diego’s world renowned Scripps Institution of Oceanography, is currently seeking undergraduate students with exceptional aptitude for quantitative science to apply for the 2019 MPL Summer Internship Program. This ten-week internship will offer qualified students the opportunity to work with some of the most notable scientists in the world and learn about marine science and technology while earning $14 per hour. Candidates should be enrolled as a 1st, 2nd, or 3rd year considering a career in scientific research. The internship begins in La Jolla, California, in June 2019. The internship lasts 10 weeks from the start date and will be 40 hours per week. Applications are accepted online through 4 p.m. Pacific time on January 18, 2019. The Materials Research Science and Engineering Center (MRSEC) at Northwestern University offers a 9-week, paid summer research experience for undergraduates. Students are matched with leading research professors in science and engineering fields. Research areas include ceramics, polymers, nanocomposites, photonics, nanoparticles, molecular electronics, and biomaterials. Students must currently be pursuing an undergraduate degree in science or engineering. Participants are paid a $4,500 stipend, receive a travel allowance and are provided with on-campus housing. The program dates are June 17 to August 16. This hands-on research and development position will support Lamb Weston’s technical platform efforts within the Innovation, Packaging Engineering department located at our Richland, WA Technical Center facility. This will be accomplished using packaging and material science principles to drive innovation of one or several assigned packaging development projects. This is a paid internship expected to last 10+ weeks with relocation assistance available. Click here for a full job description. Apply through Handshake. Search for Lamb Weston and the position title, Material Science Engineer (Polymer/Packaging Science). This 10-week residential summer research experience provides mentoring and research participation while allowing scholars to preview graduate school life at a Research1 university. Participants all receive competitive stipends, room and board, travel/transport, graduate school preparation workshops, social and networking activities, and more. 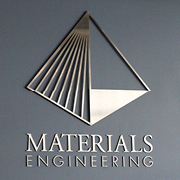 Cornell’s Materials Science and Engineering M.Eng. enhanced program is designed to develop the professional engineering leaders of the future who understand the Technical, Business, and Legal, Ethical and Social Issues in Technology. The MSE M.Eng. program is designed to provide students with hands on experience while doing an internship and equip them with entrepreneurial skills to become true tech leaders. Examples of projects from 2018-2019. Click here to apply. The program is accepting applications until the cohort threshold is met.